Nafysa Adam is a partner at Dentons Hamilton Harrison & Mathews. She is a member of the Real Estate, Planning and Environmental, Banking and Finance, and Business Set-up & Regulatory Compliance practice groups. She has advised in various local and cross-border transactions and conveyancing dealings and has assisted on advising clients on assortment of legal and regulatory issues related to projects in the real estate and financial sector. AMS Properties Limited: Acting in a prime residential luxury apartments comprising of penthouses and duplexes including drafting the agreement for lease and lease and negotiating the agreement for lease and lease with various purchasers and their advocates. Also handling a number of individual property acquisitions for the AMS Group, a leading development company in Kenya. Next Gen: Acting and advising on a large scale mixed use development along Mombasa Road, comprising of a commercial development, residential development, leisure and recreational facilities. Advised on the proposed management structure and drafted the letter of offer and agreement for lease. Vipingo Ridge Limited: Whilst at Raffman Dhanji Elms & Virdee, acting with regards to the legal documentation on the development of a 5-star residential and golfing resort (with two 18-hole Championship Golf Courses) on a 1,500 acre piece of land in Kilifi, north of Mombasa. Oilcom (K) Limited: Acting for the oil marketer in Kenya, which is part of the Oilcom group who are leading oil marketers in Tanzania and East Africa on the transfer and registration of various fuelling stations from Total Kenya Limited and Total Marketing Kenya Limited. CCTV: Reviewing conveyancing documents for the major state television broadcaster in mainland China, which now has an African regional hub in Nairobi, Kenya. Liquid Telecom: Acting for the UK based Telecommunication Company in its acquisition of its data center on Mombasa Road, Kenya including negotiation of the various agreements in respect of the acquisition. Garden City Residential: Acting on the structuring of the luxury development in Kenya that aims to create a new modern urban node outside the Central Business District that also houses both commercial and residential developments. The transaction includes acting on the sales of the apartments and preparing the structuring documents. Wrigley Company (E.A) Limited: Acting undertaking due diligence in respect of various tracts of land and advising on the acquisition of a specific piece of land including preparing, negotiating and finalizing the documentation in respect of the acquisition of land, advice and opinions and steering the transaction to completion. Sukari Industries Limited, one of the biggest sugar manufacturing companies in Kenya: Acting in connection with their acquisition of a sugar plantation in Homabay. The transaction involves undertaking a detailed due diligence in relation to the properties being acquired and preparing and negotiating a sale agreement in connection with the acquisition of the properties. Libya Oil Kenya Limited, a major player in the local industry dealing with petroleum and oil products: Drafting and reviewing conveyancing documents. A developer: Acting in a commercial development comprising of a mall and shops and involved in the preparation of the short-term leases and negotiation in respect of leases. Westlands Triangle Properties Limited: Acting in the leasing of various office spaces in a number of their buildings including attendant opinions and advice on leasing issues. Riayn Developers Limited ("RDL") Group: Acting for the pioneering community developer that offers integrated and holistic services in real estate, retail, and lifestyle management in its commercial development in Westlands known as the Mirage under its development company “Bonham Limited”. Magnolia Hills: Acting in the executive residential development in the lush suburbs of Kitusuru, Nairobi. Fidelity Shield Insurance Company Limited: Acting for the known local brand in offering insurance services in Kenya in its acquisition of a certain business conducted by Equatorial Commercial bank on a property in Westlands co-owned by the two companies, including advice and negotiations of the necessary agreements. Actae Development Limited: Acting in its development on Galu Beach known as Lantana Galu, being an exclusive development of beach front holiday homes situated on one of the most spectacular unspoilt beaches on the south coast of Kenya, which development offers high end holiday homes with an option for a rental pool arrangement. 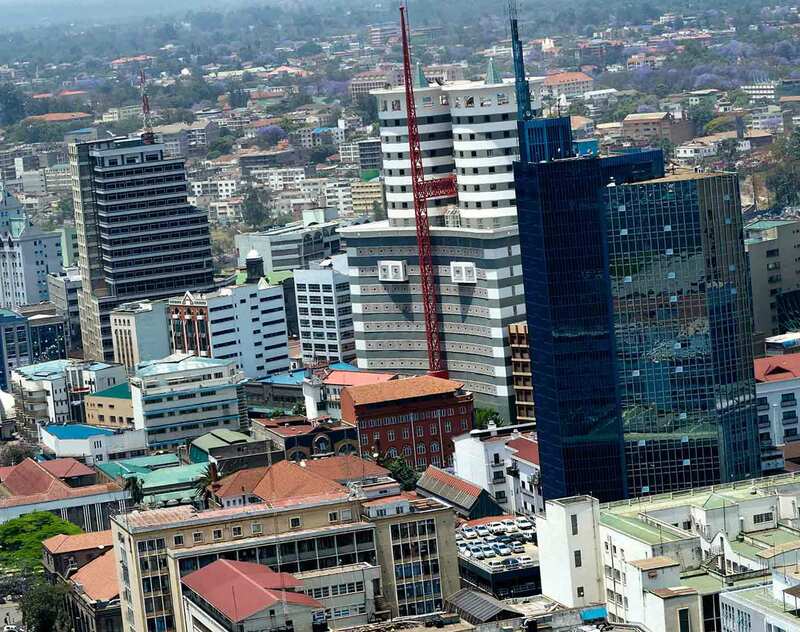 Several local banks in Kenya: Acting in relation to Islamic finance and offering of Islamic products including offering legal advice, preparing the necessary documents and offering presentations to the banks on Islamic finance. British High Commission in Kenya: Acting with regards to their residential leases in Kenya and generally on property advice. Various developers, purchasers, lessor and lessees of commercial and residential properties: Advising in connection with acquisition of land, land control requirements in respect of agricultural land, amalgamation of land and subdivision including obtaining the necessary approvals from the relevant authorities, physical planning (zoning) requirements, sale or lease of commercial and residential units and setting up property management schemes for commercial and residential developments including mix use development. Advising generally on law in relation to property and banking, environment and regulatory law. visiting children with cancer at Kenyatta National Hospital, Nairobi and donating wheel chair and other items as well as spending the day with the children. Doing pro bono legal work for Safari Doctors - registered as a community-based organization in Lamu, Kenya in 2015. She was involved in advising Safari Doctors on the entity that they should register for their organisation (2017). Missionary Sisters of St. Anne: involved in conveyancing transaction for a girls' school in Kiambu County, Kenya. The work entailed purchase of four properties, liaising with a surveyor to undertake amalgamation of the properties and change of user. The work was undertaken at a highly subsidised rate (2015 to 2017). Park road Community Involvement: Involved in career session for teenage girls within the Community (December, 2017). Nairobi Muslim Academy: involved in career talks for the secondary school and in particular about career for women in law (May, 2017).